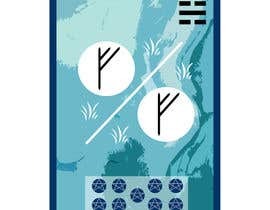 I'm trying to create a hybrid divination deck which combines i ching, tarot, runes and to some extent, the zodiac. Ideally, someone with interest in these sorts of things would be the best designer for this deck. For the initial design I'm offering $25.00 but this deck will easily be over 90 cards and the winner will be contracted to make each card. 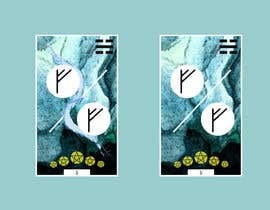 The way these cards are being designed is by using the original elements of the tarot design, and then incorporating the correlating rune. The see how the rough design for this card came about please google the 2 of pentacles. Please note, for the rest of the deck, due to volume, I'm offering $3-5/card bringing the total to well over all. (Aprox $250 - 300 for the entire deck) Please only apply to this contest if you're willing to work at that rate for the completion of the deck. I've attached a sample of one of the card I'm looking to have made up today. I'm looking for something close to that but with a far more professional, polished look. 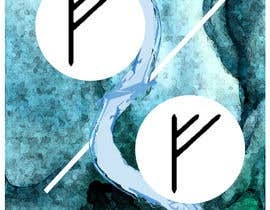 Are the runes only need to be based on Germanic Futhark? Oh, okay. Will do my best.